Welcome to Fotopod! Buy Fotopod - Welcome to Fotopod! 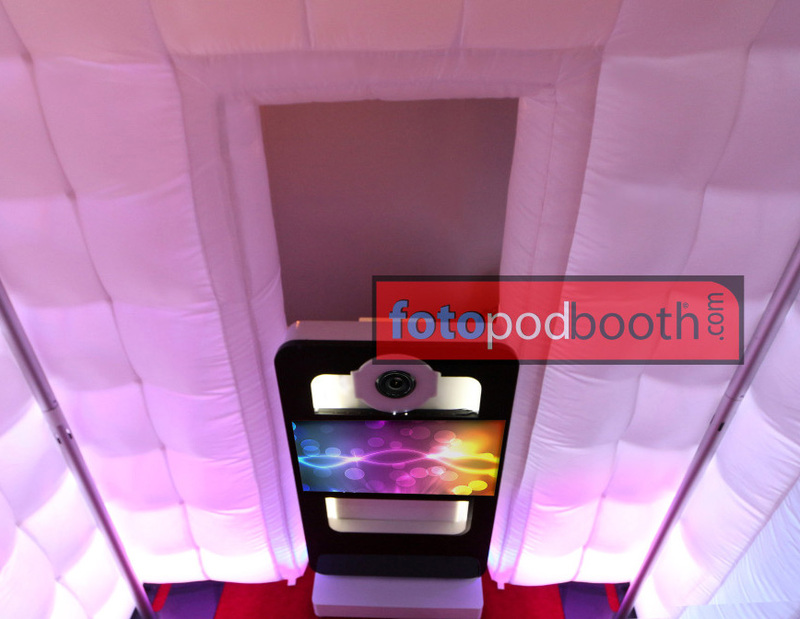 Do you want to have your own Fotopod Booth? Have you ever thought about running your own business? 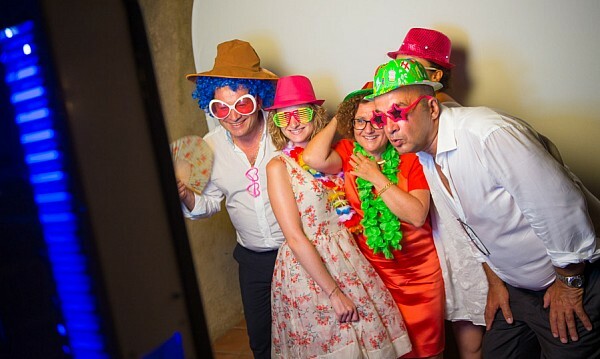 Perhaps you already have a photo booth and want to upgrade to the latest, patented, professional-grade technology? We offer complete custom turn-key solutions and affordable financing options. No franchise fees. No yearly service add-ons. Just 100% full hardware and software support. Call us for more details! Click below to see if you qualify. Your only 30 seconds away from approval! 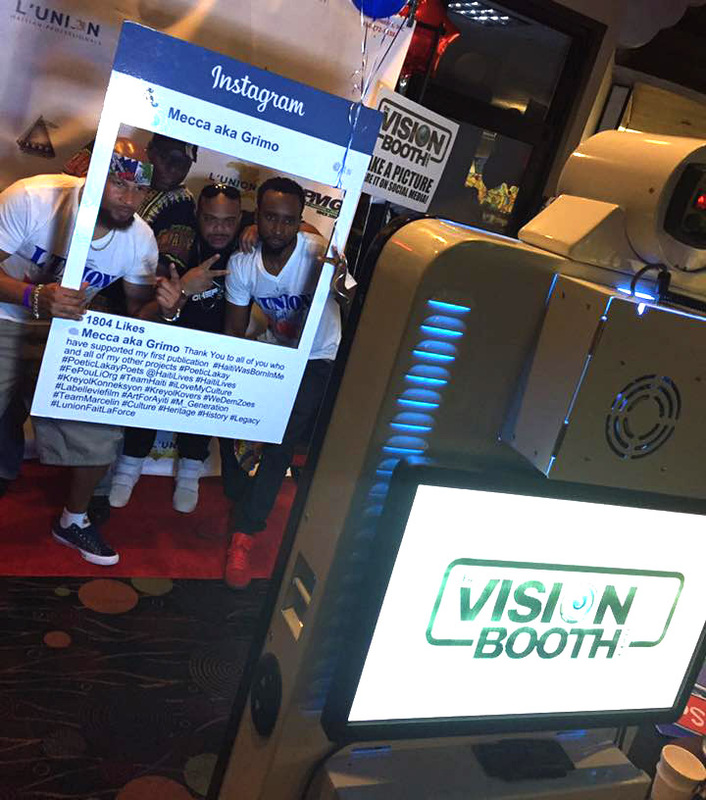 Missed us at the Photo Booth Expo 2019 in Las Vegas? Here is a video recap and demo showcasing our latest products! 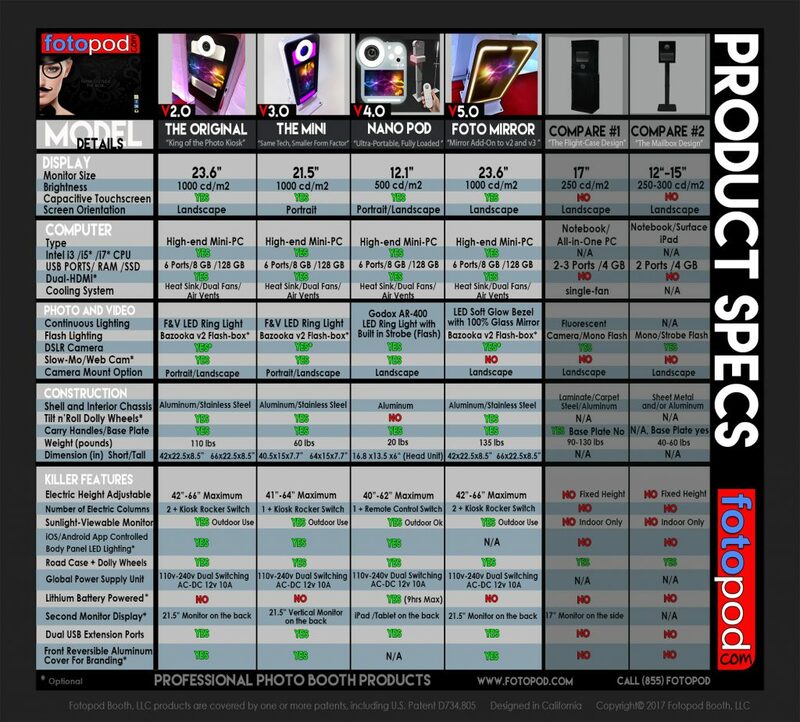 Check out our Pro-featured Fotopod® lineup. See which model works best for you! Just launched! 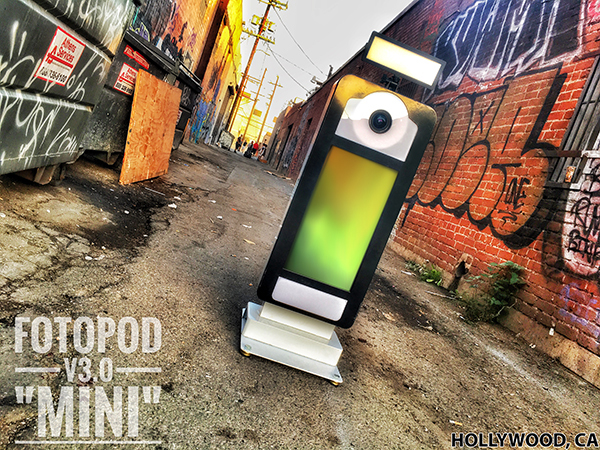 Fotopod v4.0 “Nano Pod” Ask us for details! Fotopod v3.0 “mini” The new batches have come in! Reserve your order today! Huge (8.5 x 7 ft) Popup Backdrops! 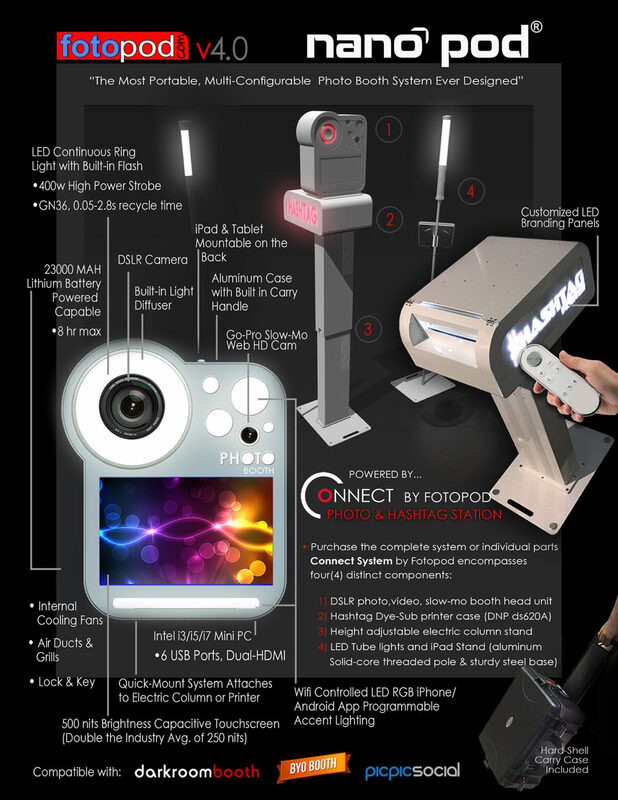 Designed from the ground up to work with the Fotopod Booth Machine Setup. The backdrops can also work with existing pole-system setups. This unbelievable product pops up in 5 seconds, and breaks down in 7 seconds! The backdrop comes included with a carry bag with shoulder straps. 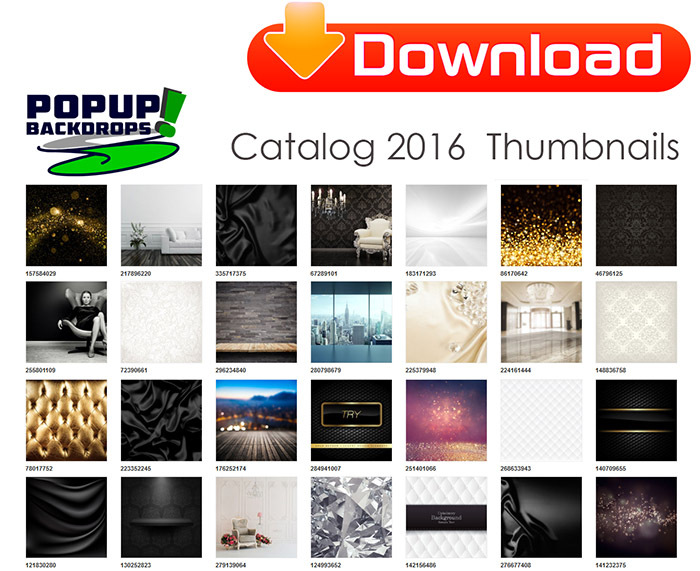 UPDATED- Check out the Popup Backdrop Catalog 2016, with over 300 designs and patterns to choose from! It’s time to give your clients what they are looking for…high-quality and stylish backdrops to suite any type of event! For outdoor use or additional support, the frame comes with two aluminum support brackets, and custom sand bags. With our double-sided backdrop option, use it as a stand up or sit down open-booth…at the same event! Our backdrop with the Fotopod Floating Frame system is so light, easy to move around and pack up! Upgrade your photo booth system to our latest and greatest Photo Machine v2.08 or the very portable, but powerful v3.0 “mini.” The video above shows how quickly Fotopod Booth owners can attach the printer tray shelf that can hold up to 35 pounds of weight! Also available since v2.02 is an ingenious “dual” electric lifting column system. So basically, if one column fails (has not happened yet! ), the machine’s height can still raise and lower using the other functioning lift. 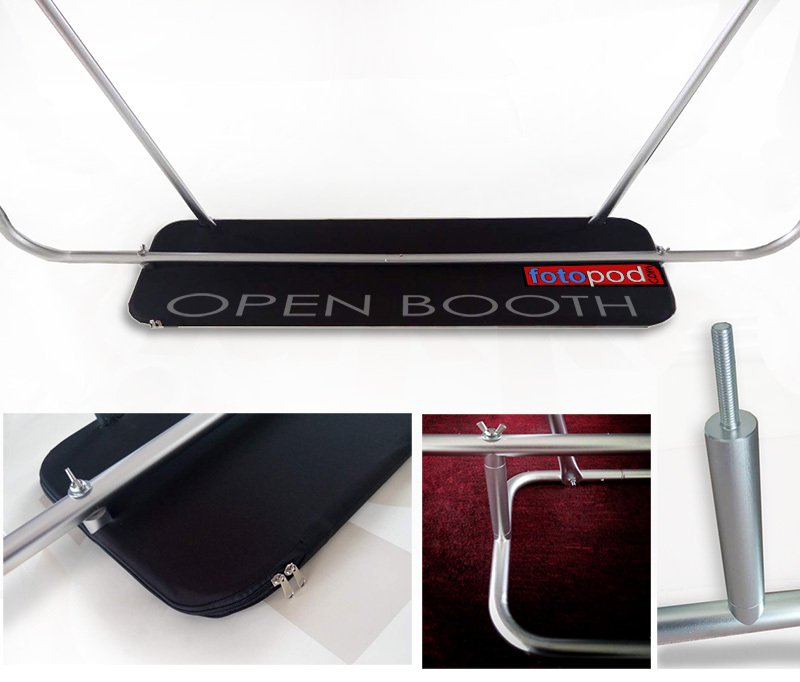 When it comes to running your important events, Fotopod Booth has your back! Question: What is an electric lifting column? Answer: A lifting column is an electric linear actuator integrated into a stable guide. The sophisticated motor system is completely hidden inside the column. Fotopod’s lifting columns are designed to raise and lower the main body that houses the touchscreen monitor and DSLR camera, providing a smooth, quiet and elegant movement. Converting the printer tray* into dolly mode takes only two seconds. The photo machine can then be transported vertically or horizontally, making for simple and flexible setup at your events. *printer tray included with purchase. 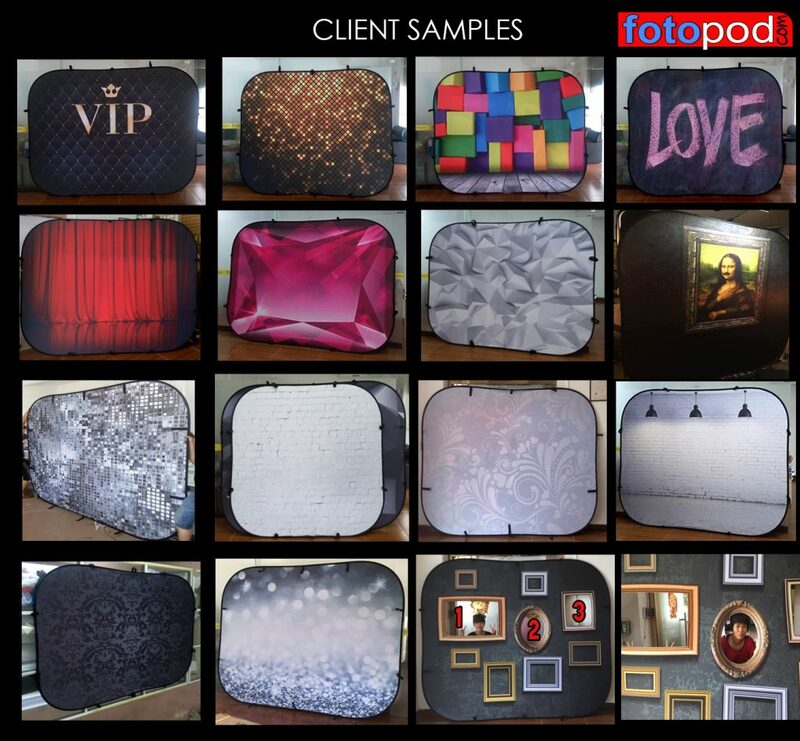 Fotopod’s core focus is inventing new ways of capturing studio-style imagery, while at the same time, providing an unbelievable user-experience for all guests and clients. To achieve this, Fotopod takes photo booth lighting seriously. We promise not to leave you in the dark! Check out our updated v2.0 bazooka flashbox option below. This add-on is recommended if you plan on doing open booth setups for extra lighting power. The unit houses an ac-powered mono-flash capable of .05 to 3 seconds refresh rates. Backup flash units can be easily replaced and purchased online through Amazon.com or from Fotopod. The flashbox attaches to the Fotopod Machine using strong magnets. The white “diffusion” front cover also houses magnets. You can snap on multiple filters depending on your lighting needs. The flashbox v2.0 is designed to work with either Fotopod Machine v2.08 or the v3.0 “mini” models. Question: Why do I need a Flashbox if there is a LED ring light built in already? Answer: The ring light can be used as your “primary” key light. However, secondary fill lights are highly recommended (see our Tube light add-on) Using our proprietary double-layer milk filter design, our continuous LED ring light provides quality “soft” lighting which is an excellent light source for glamorizing your guests, increasing the “live-view” exposure, and for capturing video on the fly. The ring light bulbs are extremely reliable, rated to last at least 30,000 hrs. If you plan on running events outside(sunny) or in extreme dark environments, then YES, the flashbox is the perfect companion. 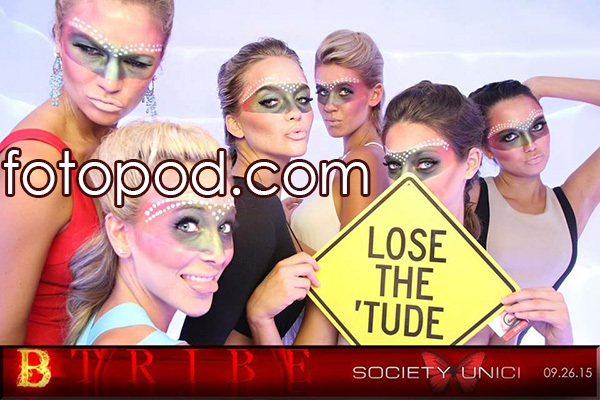 **Note** You will not need the flashbox add-on if you decide to go with our Option #2 (inflatable booth full professional package) The dynamic 360° LED lighting built into the enclosure is so powerful, flash photography is not necessary. Knowing that our products comes fully backed with no-questions 15-day return, 90 days-2yrs warranty, and full hardware/software support should put your mind at ease. However, why take chances transporting and storing your pro-equipment? 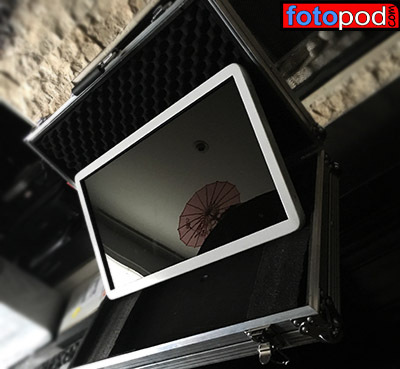 The good news is that our Fotopod Photo Machines and Inflatable Booth system comes included with a hard-shell road case with dolly wheels. Below are some other options we have to help you protect your investment! **Note, all our road cases are custom designed to specifically fit the dims and requirements of the equipment… like a glove! We do not try to grab aftermarket cases and then, “hope it all fits,” scenarios. Above is our industrial strength, all-aluminum front and back (not your flimsy consumer plastic shells) 21.5″ external monitor, with the custom road case option. Your choice of black or white powder coated, with matte (glare-reducing) or high-contrast screen. Choose from either 300 cd/m2 brightness ($300 usd), or 1000 cd/m2 sunlight-capable brightness! ($600 usd) Check out the Fotopod youtube channel to see different ways to mount and setup the external monitor! 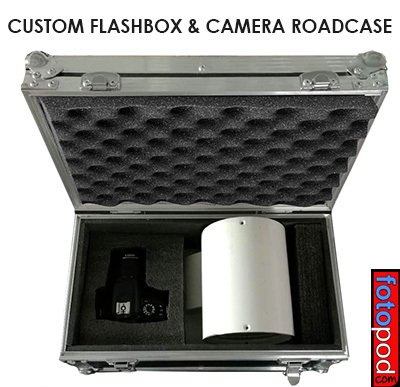 Compact, customized ATA road case to hold your v2.0 Bazooka Flashbox unit and accessories. Plus, we made room for a backup flash, or for protecting your DSLR camera! 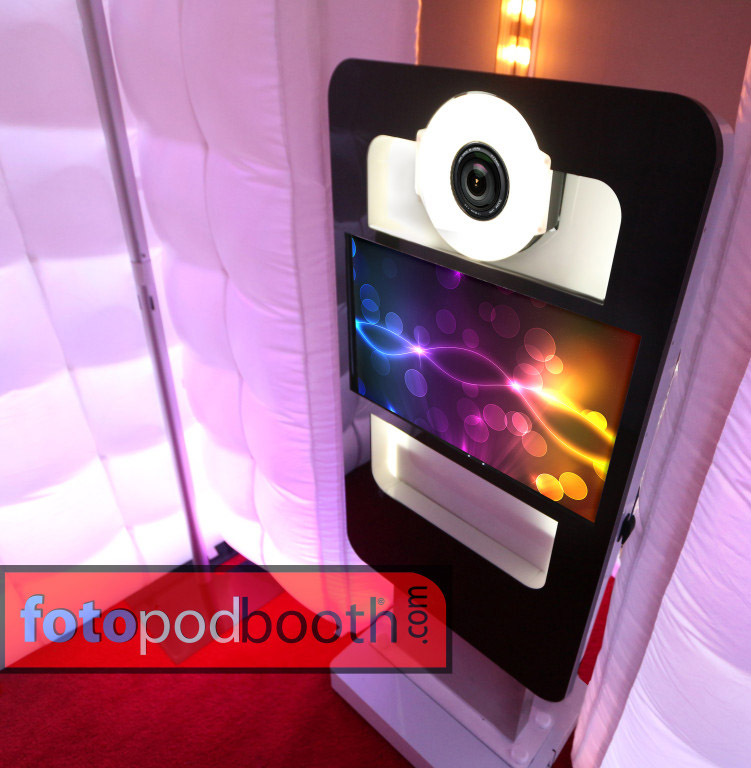 Did you know we created Fotopod Booth for the vertically challenged? Not everyone that steps into a photo booth will be the same height. Then why force guests to pose and contort for badly cropped photos? With just a push of a button, the photo machine will automatically lift or lower itself, adjusting to any guest’s height. Now you can convert your stand-up booth to a sit-down booth in a blink of an eye! The photo machine also collapses down for ridiculous easy transport and storage. We even designed the machine to fit into the back of a Mini Cooper S! Customer’s Fotopod Machine v2.07 inside a 2014 Rav4 and rear seat of a 2013 Lexus IS250. Custom ATA road case with dolly wheels included with purchase. 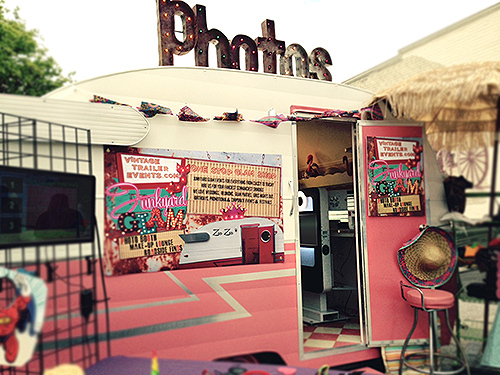 Check out some of our customers Fotopod Setups! 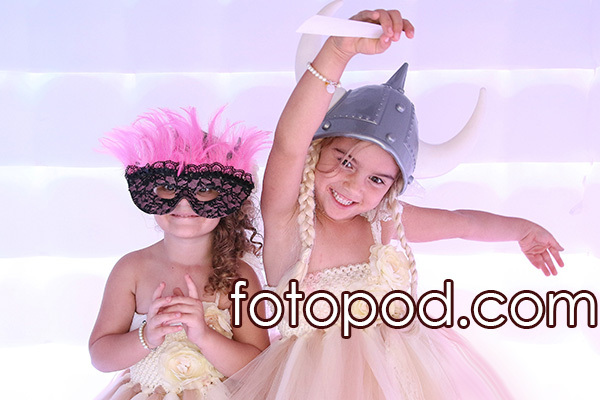 Open or enclosed booth, indoors or outdoors, green-screen or backdrops, photo bus or stationary high-traffic areas…if you can imagine it, Fotopod Booth can help! 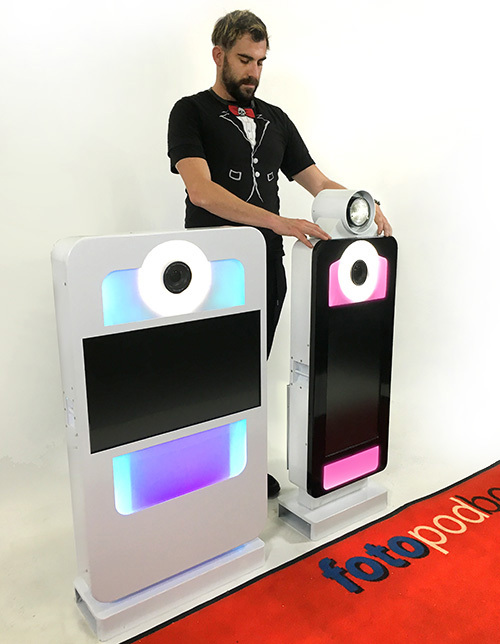 Your choice of black or white Fotopod Photo Machine! Option #2 (Pro-package) comes complete with our patented, inflatable “16 million color” LED glowing Fotopod booth…that holds up to 17 people! The package comes already pre-wired depending on your countries voltage requirements, including the wifi-module to control the dynamic lighting with your Android or iPhone, and all the necessary hardware and support to get you up and running in no time! 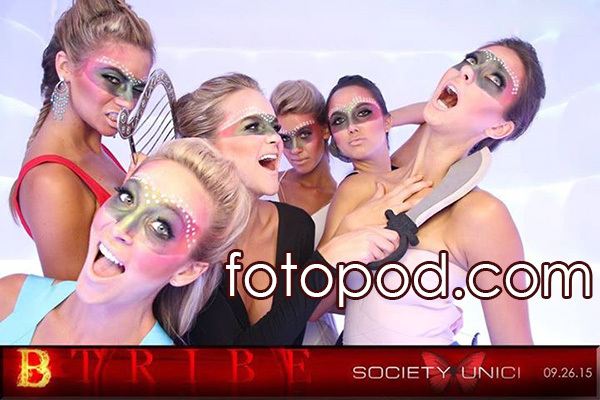 Our photographic 360º “softbox” lighting technology will BLOW your mind! Click here to see some our recent events on our FB gallery! Call us to see if Option #2 is available in your area! The Fotopod Booth inflatable tent system was designed from the ground up to take advantage of current technologies and can tackle most environmental conditions. Special window and skylight cutouts are designed to give the feeling of spaciousness from all directions, but most importantly, allow for proper air circulation and wind flow (Feng shui). This unique, enclosed inflatable structure is meant to turn passive audiences into active booth participants! 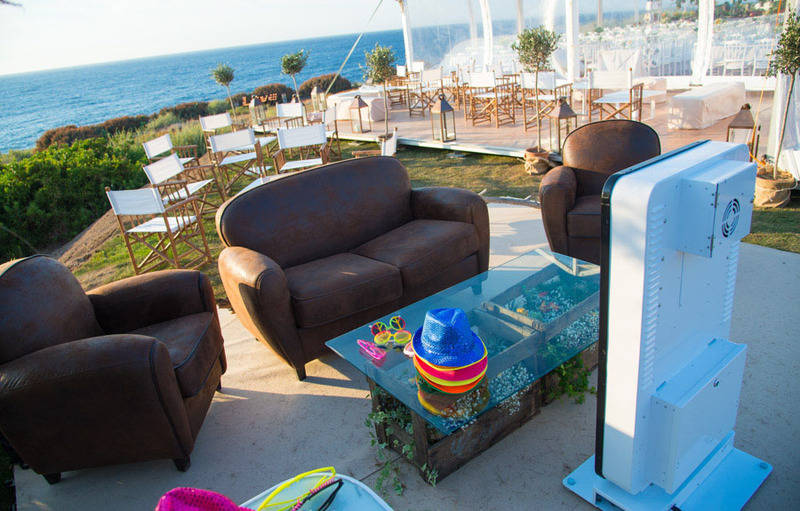 **Tip** The Fotopod Booth was designed to accommodate a Dyson® tower fan, which can be positioned on the small window opening to let in cool or even hot air! A bluetooth speaker system such as the Bose® SoundLink can be placed on the window opening as well. This setup will spread sound evenly throughout the enclosure and will surely make your booth rock! 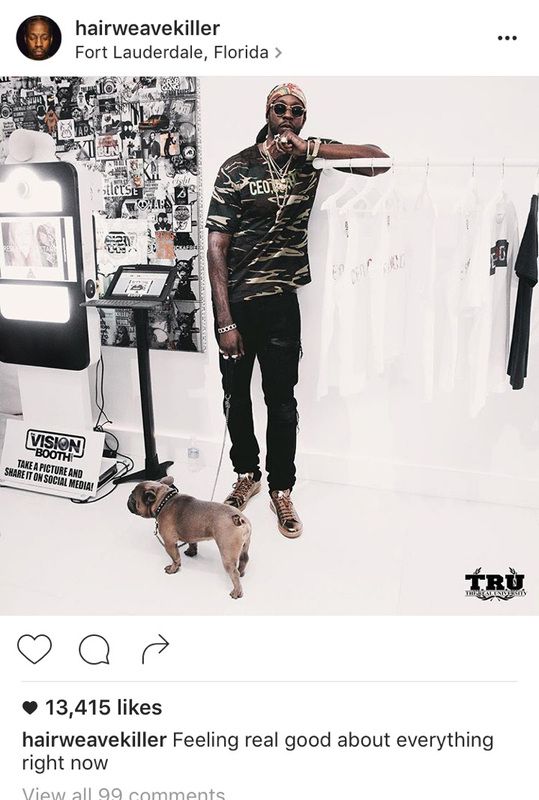 Question: Why should I buy from you? 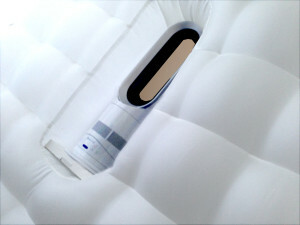 I see these cheap inflatable booths everywhere online. Answer: We cannot control what get’s permeated or filtered on the internet. Hopefully, you respect intellectual property, and keep in mind that we invented the “Inflatable Photo Booth” design and concept, with the US Patent and Trademark Office and international patents-pending…so please feel confident you are getting it from the original and “legal” source; Fotopod Booth LLC and not a cheap/illegal knockoff. We invented it, so we can 100% back up our technology with the proper service and long-term support you will need in helping you meet your financial goals. For example, once the initial deposit has cleared, we immediately send you non-branded photos that you can start using for your own webpage and marketing materials. Start booking and getting deposits NOW even before you have your Fotopod system! Did you know? 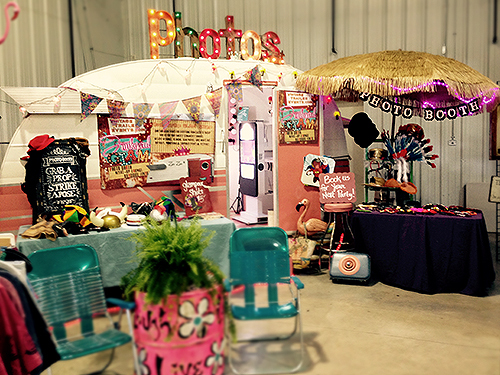 Our popup backdrops can be used inside the Fotopod inflatable booth! The patent-pending, tension-based design expands into place for the perfect fit. No more hooks or extra attachments needed! The durable, wrinkle-free fabric backdrop will absorb flash/strobe glare. This diffuse surface will contribute to clean, optical-quality photographs and video sessions. Choose from hundreds of designs and patterns from our 2016 catalog here. 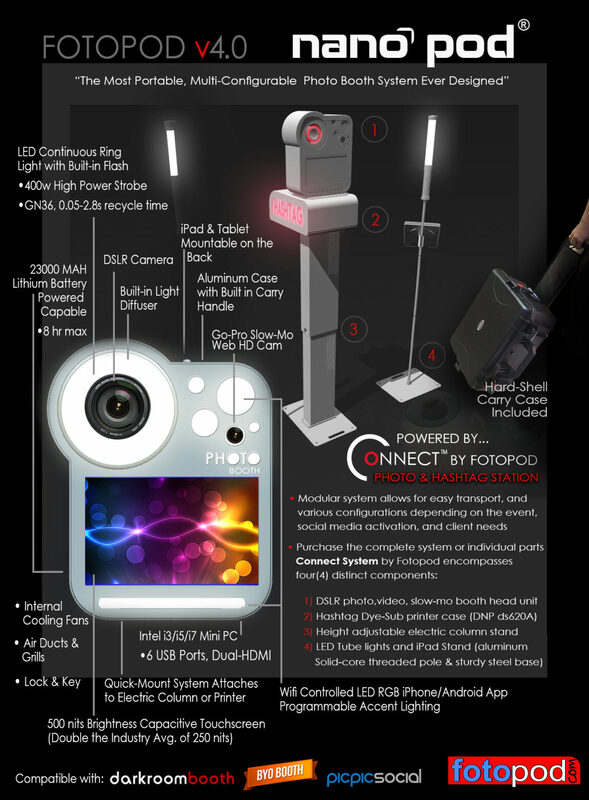 Check out the Option#2 using the Fotopod v3.0 “mini” at a holiday event! 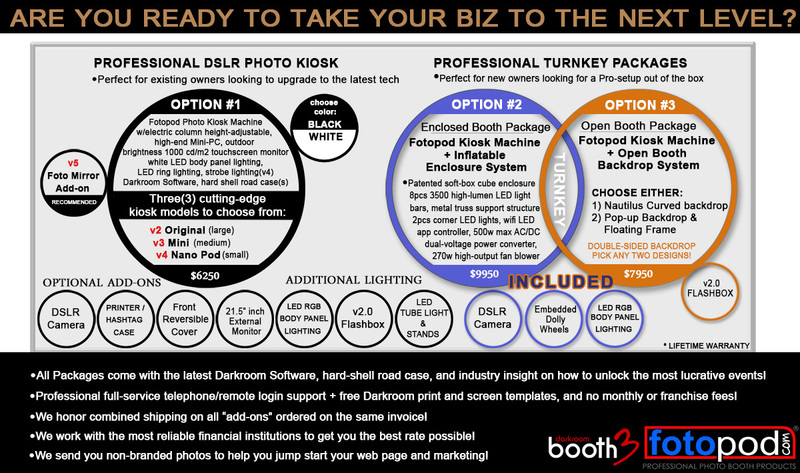 The first, true professional booth to take advantage of either portrait or landscape mode!